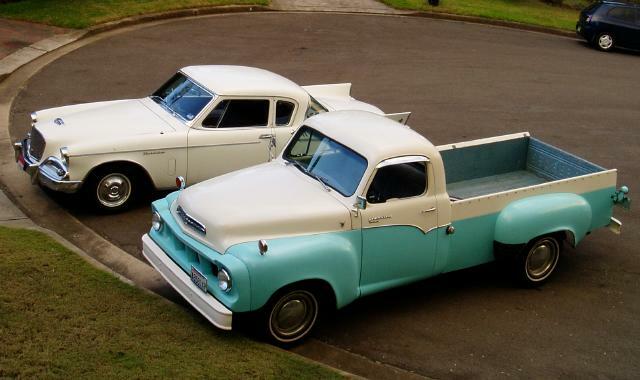 Steve Leyden of Sydney, Australia sent in these pictures of his 1957 Studebaker Transtar Deluxe Pickup with factory optional two-tone paint. 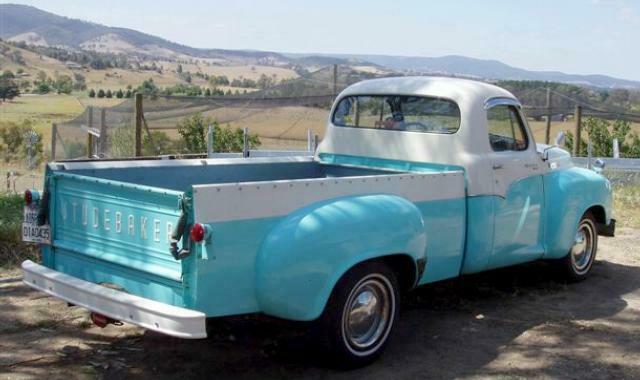 The truck purchased at the 2005 Studebaker Drivers Club International Meet in Spokane, Washington and imported to Australia, originally to Melbourne. Steve has owned the truck for about a year. This truck appeared on this page in April 1997 at which time it was in American hands. 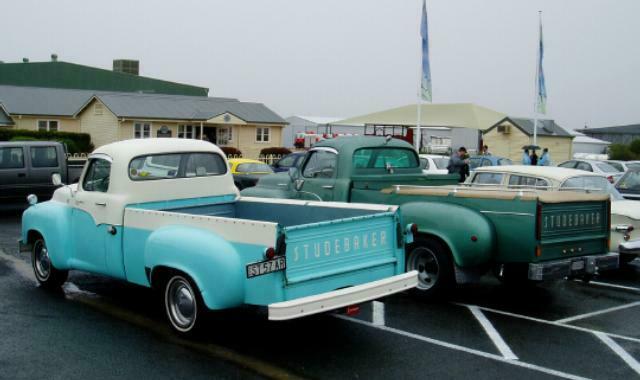 Steve's truck is powered by Studebaker's 259 cubic inch V8 and has an eight foot bed. 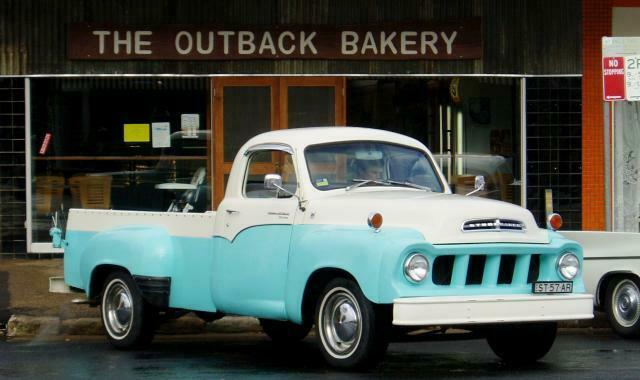 Here are some additional pictures of this neat truck taken in front of the Outback Bakery and with another Transtar at the April 2007 Australian National Studebaker Meet held on Queensland's Gold Coast. Steve's Dad owns a right hand drive 1960 Studebaker Hawk Coupe pictured here alongside the Transtar. Thanks to Steve for providing the pictures and information about his truck. These pictures of Melvin Wampler's 1924 Studebaker Light Six Sedan were taken at the July 2007 Bridgewater, Virginia Volunteer Fire Company Steam and Gas Meet. The Light Six was powered by a smooth 207 cubic inch six cylinder engine with inclined valves and an aluminum head rated at 40 horsepower. While that may not sound like much today, it was a step up from the rough running four cylinder engines used by Studebaker's competitors. Melvin is a long-time Studebaker man who also owns a 1950 Land Cruiser that was featured on this page as Stude of the Month in February 1998. 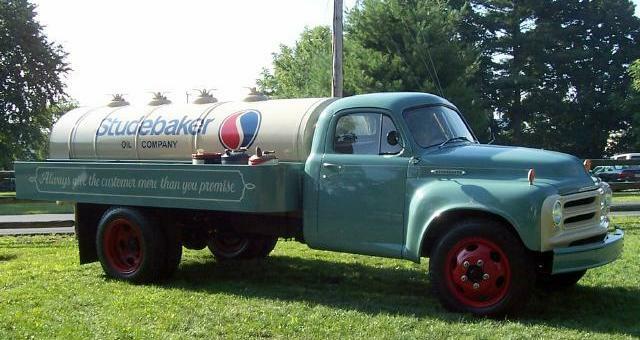 This 1954 "Studebaker Oil Company" Truck belongs to well-known Studebaker collector Chester Bradfield of Bridgewater, Virginia. It was found on a Rockingham County, Virginia farm and restored to its present pristine condition. 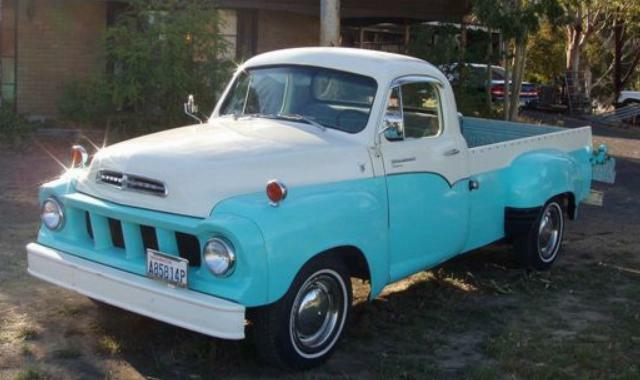 This particular truck is equipped with the Studebaker 245 cubic inch six rated at 102 horsepower driving through a four-speed manual transmission. 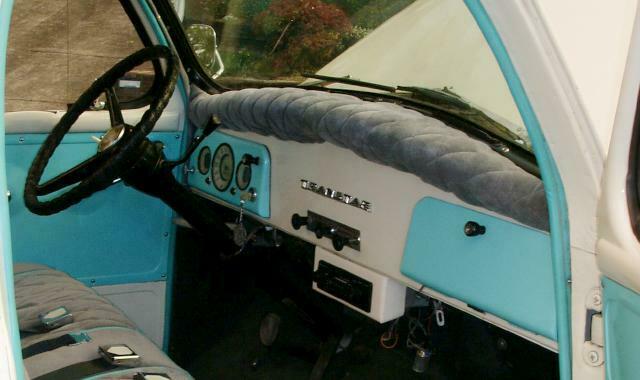 There were several changes to the C Cab for 1954 including two instead of three horizontal rows of openings in the front grille and incorporation of a one-piece curved windshield. These pictures were also taken at the 2007 Bridgewater Steam and Gas Meet. 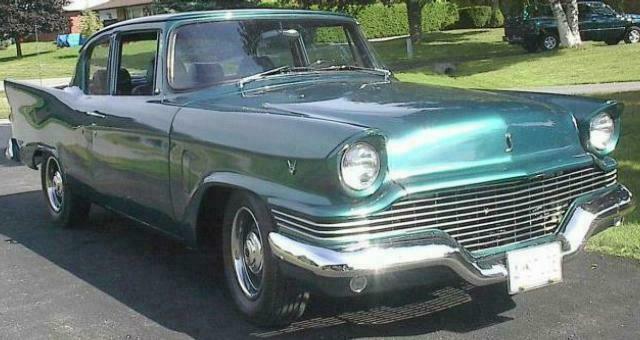 This custom 1958 Scotsman Sedan belongs to Myno Van Dyke of Ontario, Canada. Myno's car appeared on this page in January 1999 as Stude of the Month. The Scotsman was introduced in mid-1957 as an economy model. Sales were relatively strong, with 20,872 Scotsman sedans and wagons being produced for the 1958 model year. Myno's Scotsman is equipped with a 305 Chevy V8 driving through a GM Turbo Hydramatic 350 transmission and Ford 9" rear end. When the compact Lark was introduced for 1959, Scotsman sedans and wagons were dropped from the passenger car lineup. 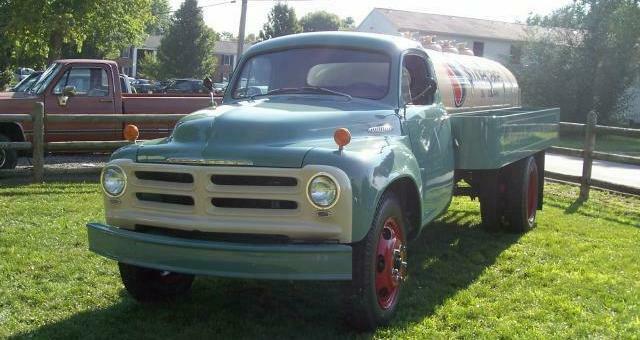 Brent Moser sent in this picture of a cute 1959 Lark VI that he acquired in September 2006. Brent indicates that after doing some work on the engine and brakes, his wife has been driving it to and from work on daily basis. 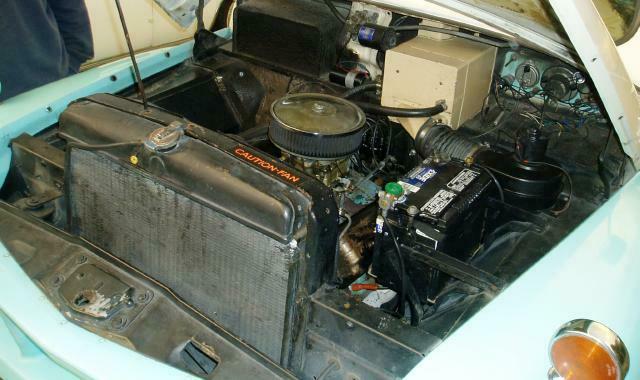 The 1959 Lark VI was powered by a 170 cubic inch flathead six rated at 90 horsepower. Basically, the 1959 Lark was the 1958 sedan body with the front and rear chopped off. This is evident by comparing the picture of Brent's Lark with the picture of Myno's Scotsman. The center sections of both cars are essentially identical. 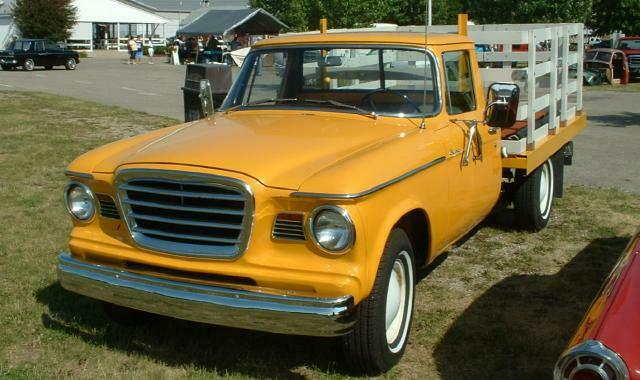 The Lark saved Studebaker as an automobile producer, at least for a few more years. Studebaker truck expert Frank Drumheller sent these pictures of Studebaker trucks taken at the 2007 Studebaker Drivers Club International Meet in South Bend. 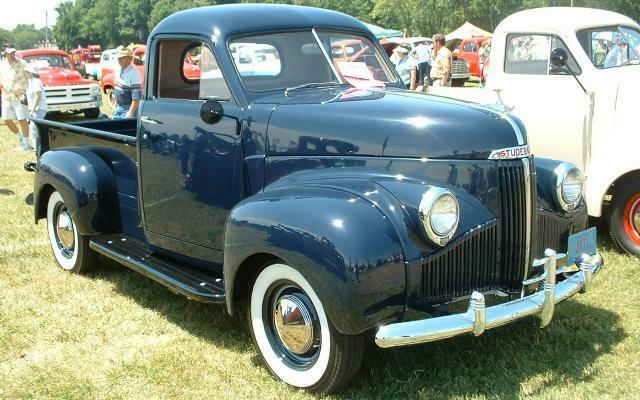 The beautiful 1948 M5 Pickup is owned by Terry Frye of Middleton, Wisconsin. Terry's truck had just completed a six-year restoration and scored 393 out of a possible 400 points to take a first place award. Frank indicates that the 1963 Champ Stake Bed is a Model BE7-122-C4. 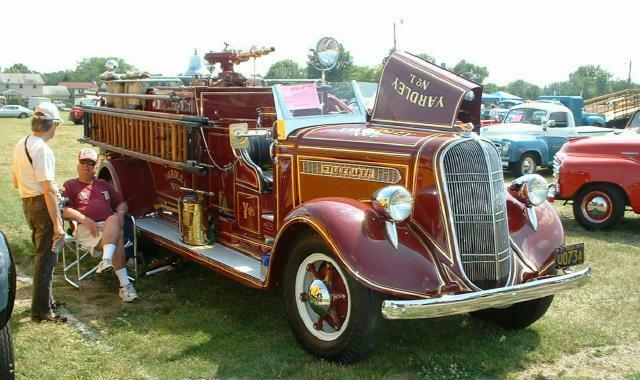 The 1937 J15 Fire Truck is owned by the Yardley-Makefield Fire Company of Yardley, Pennsyvania. 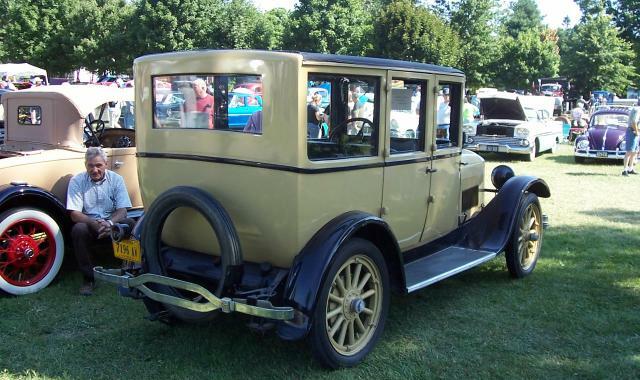 It was restored in the mid-1990's and has been shown at numerous antique car and truck meets. Thanks to Frank for his continuing contributions to this page. 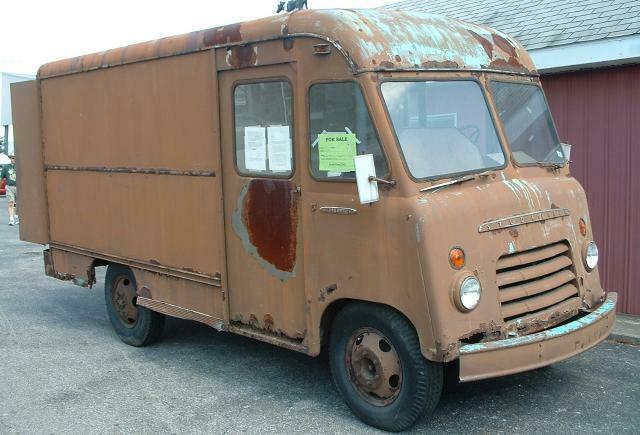 Frank Drumheller also sent in this picture of a rare 1955 Studebaker Parcel Delivery Truck. It is reputed to be a factory prototype and the only one built at the factory. 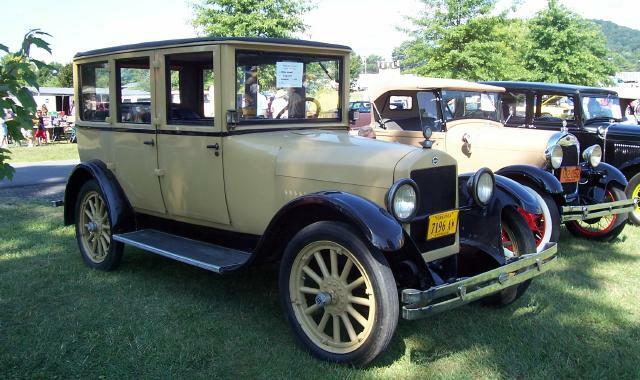 Frank indicates that it is a Model E13-131 with a 224 cubic inch Studebaker V8. 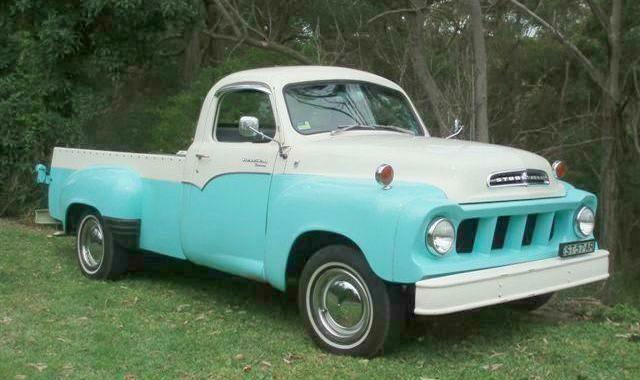 Studebaker reduced the displacement of its smallest V8 from 232 cubic inches in 1954 to 224 cubic inches in 1955 while raising the horsepower rating from 120 bhp to 140 bhp. This picture was also taken in South Bend. Bill Junge sent this picture of a "work in progress" Studebaker Hawk Convertible some time ago. 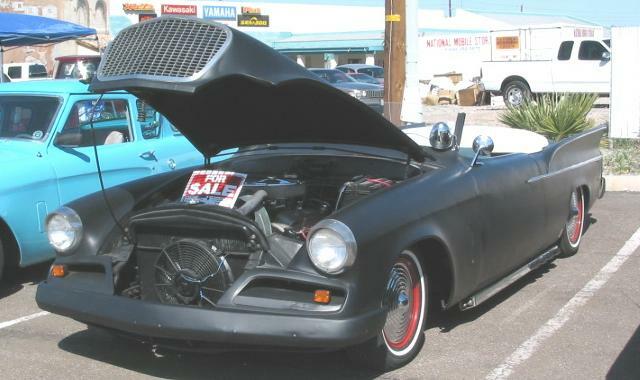 This is one of numerous attempts by customizers and hobbyists to build a convertible on the 1953 through 1964 Studebaker C/K body shell. Studebaker did not build a regular production convertible version of this body. Allegedly this has to do with the inherent flexibility of the 1953 through 1964 C/K body and frame. Thanks to Bill for his continuing contributions to this page. Bill has his own excellent web site called Bullet Nose Paradise which is dedicated to 1950 and 1951 Bullet Nose Studebakers. Rich Edwards, whose 1952 Commander Street Rod was the June 2007 Stude of the Month, sent in several pictures of a Rat Fink Studebaker that was built by Dave Hero. The Rat Fink was the creation of Ed "Big Daddy" Roth and was quite popular in the 1950's and 1960's. As the story goes, Roth's hatred for Mickey Mouse inspired him to draw the original Rat Fink. 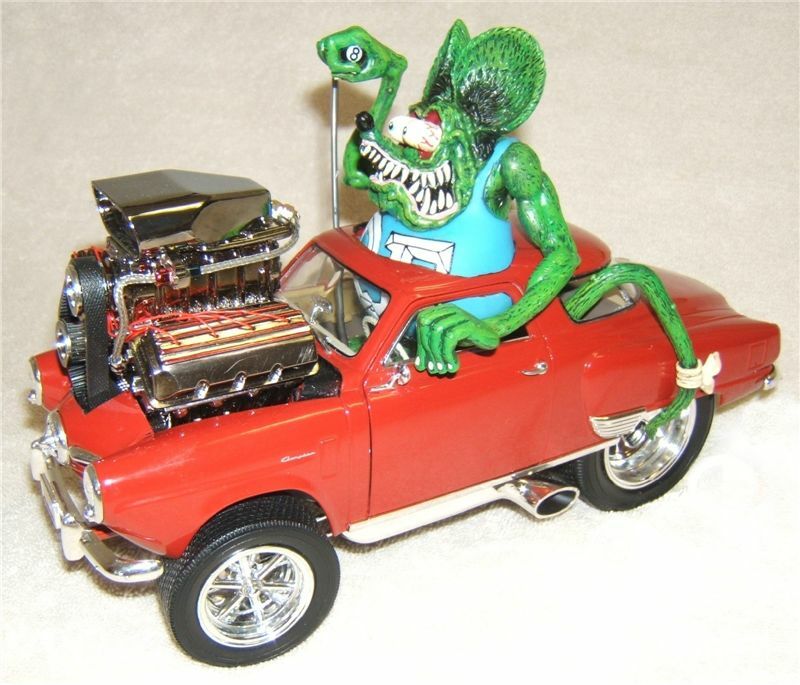 Dave builds Rat Fink vehicles by modifying various models to which he adds the Rat Fink figure. In addition to the Studebaker, Dave has built Chevelle, Anglia, and Ford Woody Station Wagon Rat Finks. 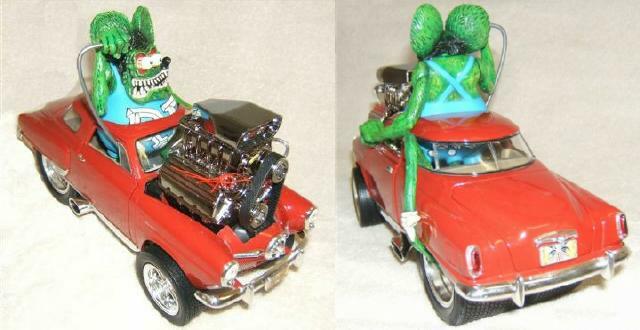 Here is a side view of this very cool Studebaker Rat Fink model. 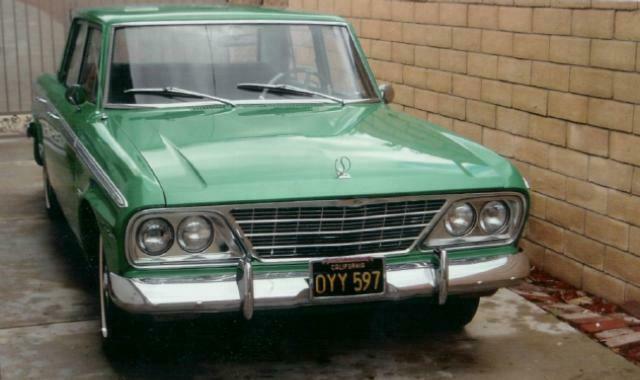 Jarron O'Neal, Senior Pastor of the Fountain of Love Christian Center in Pomona, California sent in this picture of a 1964 Studebaker Cruiser that was donated to his ministry by a member of the Center. The car is to be sold with the proceeds going to further the Center's charitable endeavors. The Cruiser has 114,000 miles on the clock and has new paint, new tires, rechromed bumpers, a rebuilt transmission, and a new radiator. Interested parties can contact Pastor O'Neal by clicking this link. Here is a new model that recently appeared in Maisto five packs at Wal Mart. Maisto has produced a detailed 1:18 scale 1953 Starliner Hardtop for several years. The 1:64 scale version is much simpler but is still a nice small scale Studebaker. The lines are generally accurate and the car is basically stock except for the side flashes. The black bumpers and black windows detract somewhat from this model but keep the cost of production down. More toy Studes can be found in the Stude Stuff area of this page and on my Studebaker Toys Home Page.